Hey, Guys Ive been so busy with work lately Ive had to also get through school also been very busy. Just to let you know that this project is still active. Thanks for checking in. No problem good luck with your life stuff. Just a random thought but could this tool possibly help with extracting level models from games like Shadowman for example. That game is troublesome the model format was something weird too. I have been unable to get clean exports on that one in particular. Sure, I can make it compatible depends on the data packed in the "n64 Rom". the same file system & structures and so on. So, I want this tool well I want is a different issue but I am trying to code this tool to extract any "N64 RoM". On getting the project done in time so the only thing I can do is keep you all updated every month to give updates. I found out that each n64 rom holds these file types "png , wav , map, exe, dll , cfg" So these files can be extracted from the roms easily. Then, make some read and write classes for pacific file extensions. may need some libs for this tho. Hey, guys I want to give another update on my progress of the tool. I've also got a pic to show as well but as of know. ""Here is the pic https://imgur.com/a/cSYVZaZ ""
Yesterday, I got done the extraction classes for the files "png , dll "
So, I lack a couple more classes for the other files as well. But, I've got the interface done for the tool as well. I've also, added a support feature for repacking the ROM. So, for example you could make a HD texture pack for the game lets say for example "Turok"
So, with my tool you could repack the HD textures back into the ROM and play the ROM on a emulator with the new hd textures which is cool to. So, it introduces modding to the N64 which is something we need for sure. I have 1 big announcement. 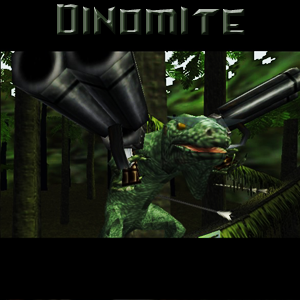 I decided when I get this tool done I am making a PC port of Turok 3 shadows of oblivion for PC. So, there will be a port of the 3rd installment of Turok for PC finally after so many years. So, thanks for all your all's patience with me I'm still hard at work on this tool but so close to getting it done. Any, Questions you might have feel free to ask them. Thank you, and have a wonderful Saturday. I love this. I can't wait to see it done. Me, too I'm excited to release the tool and start the turok 3 PC port.